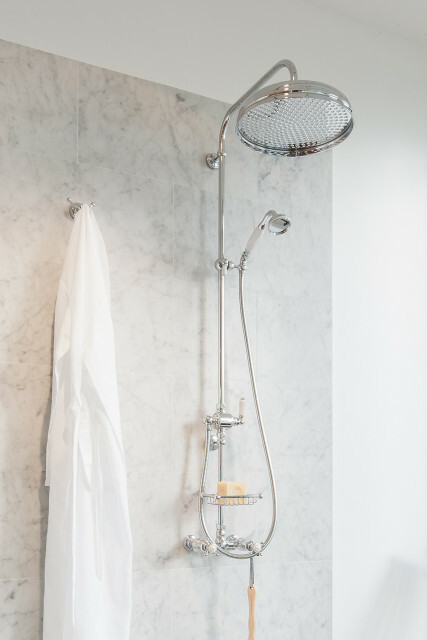 We’ve taken the guess work out of creating the perfect Perrin & Rowe shower experience. The hardest choice you’ll make is the finish. The Perrin & Rowe Example Shower Set 12B comprises a shower rose on riser pipe with two handle combination mixer and riser mounted handshower and diverter. Shower roses come in three diameters with the 200mm being the most popular. 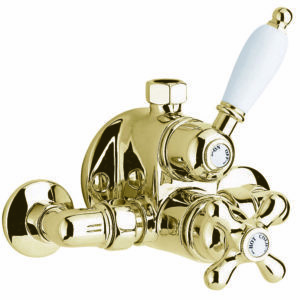 The standard rose has a perforated plate and, when calcification is a problem in hard water areas, specify the Easyclean version with rubber holes. 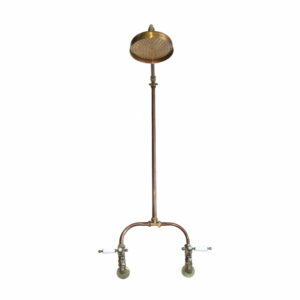 This riser pipe has a 90 degree bend, and is 1600mm in length. 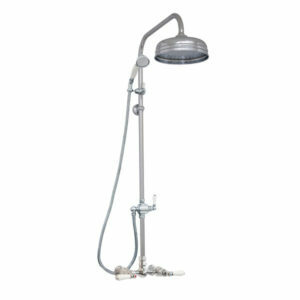 It attaches at the base to the Perrin & Rowe combination mixer and at the top fits any Perrin & Rowe shower rose. 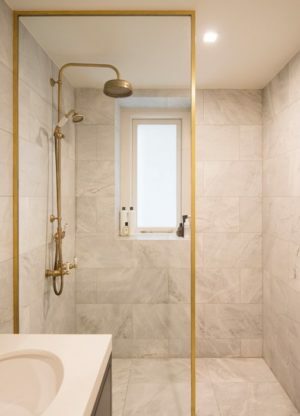 The riser mounted diverter can be inserted into the riser pipe to allow a choice of water flow between an overhead shower rose and a handshower. The handshower sits on a parking bracket which can slide up and down on the riser pipe above the diverter. 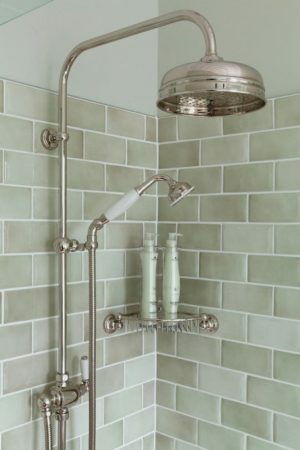 Handshowers on sliding rails are ideal for a growing family, and excellent for easy cleaning around the shower box. The two handle combination mixer is ideal for driving this all-in-one exposed shower. 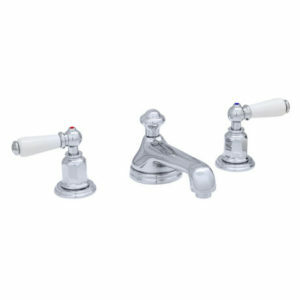 The white porcelain levers can be changed to black porcelain levers or matching metal to complement the finish of the taps if desired.